With Disney’s 2017 Princess Half Marathon Weekend registration fast approaching (July 12, 2016 at Noon ET for all the regular folk), I’m rereading my Disney Princess Enchanted 10K from earlier this year. I’m waffling between running only the 10K and cheering the half marathon or registering for the Glass Slipper Challenge. I really love the 1oKs, and even more so after remembering what a fabulous time I had. But Glass Slipper means 2 costumes! After running the Walt Disney World Marathon in January, I knew I’d want to take it easy and have some fun. So I only registered for the Enchanted 10K. And fun I had. 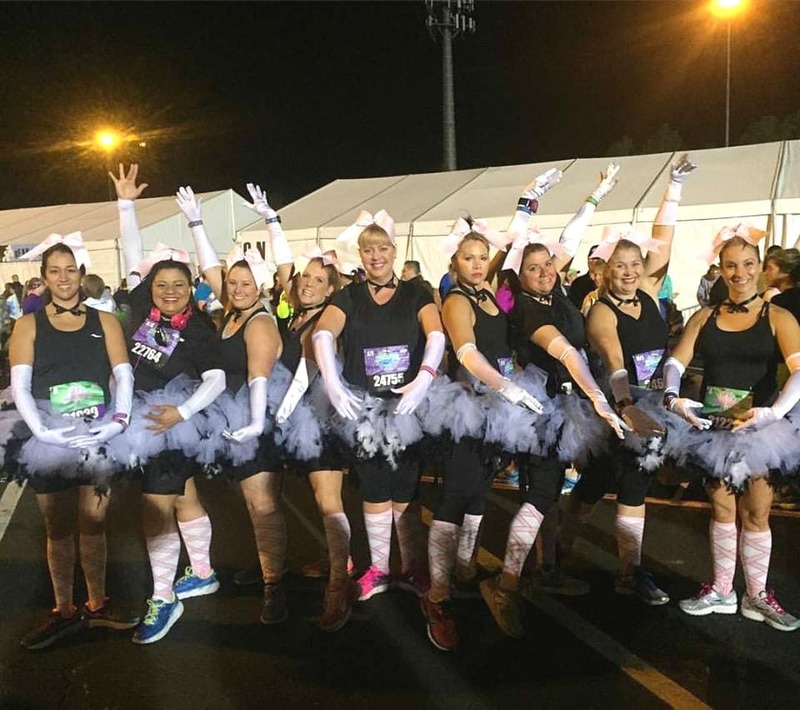 Enter some of my best running friends and a rocking group costume. You know how I love a group costume. But her genius came together nicely, I believe. Tutus, long socks that look like pointe shoes, white gloves, pink bows, and ribbon around the neck. It was an Ariel themed race, so could we get some more characters to align with the theme? I saw Sebastian rocking it out at the party in Disney’s Hollywood Studios, so I wondered why he couldn’t have made an appearance here? Too much partying? But I sure was happy when the edamame trail mix made it back into the runner’s boxes, so for that, you get a big ‘ol thank you! This was the best costume ever…who knew putting a tutu on my big behind would make me feel all kinds of purty. Second best group costume, Ghostbusters. NOW I need to come to do the 10k again, as I LOVE that course and had the best weekend ever. Yes, you need to come! The group costumes rock!